Cindy Chao’s creations are as much precious miniature sculptures as they are jewels to be worn on a night out. The layers of detail in each hand sculpted wax-cast piece is evident in the rich visual treat of her jewels. CINDY CHAO, The Art Jewel, White Label Collection Gecko Ring. 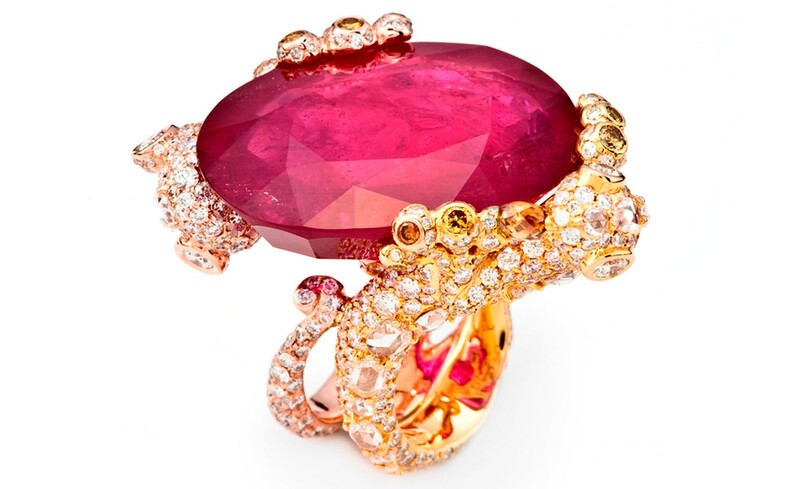 Oval cut ruby (61.26cts) highlighted by colorless and yellow diamonds set in 18kt gold. Cindy Chao’s creations are as much precious miniature sculptures as they are jewels to be worn on a night out. The layers of detail in each hand sculpted wax-cast piece is evident in the rich visual treat of her jewels. Cindy Chao jewels are a feast for the eyes. Turn a ring around and each angle tells a different story of twisting forms and unexpected gems. The first chapter of every one of Cindy’s jewels starts with a wax sculpture. Taking soft wax into her hands she is able to whittle away at the material until she is satisfied with the smallest detail – just as an artist would work on a sculpture. This allows Cindy to create multiple levels and undulating planes that make up a wealth of detail, textures and forms. 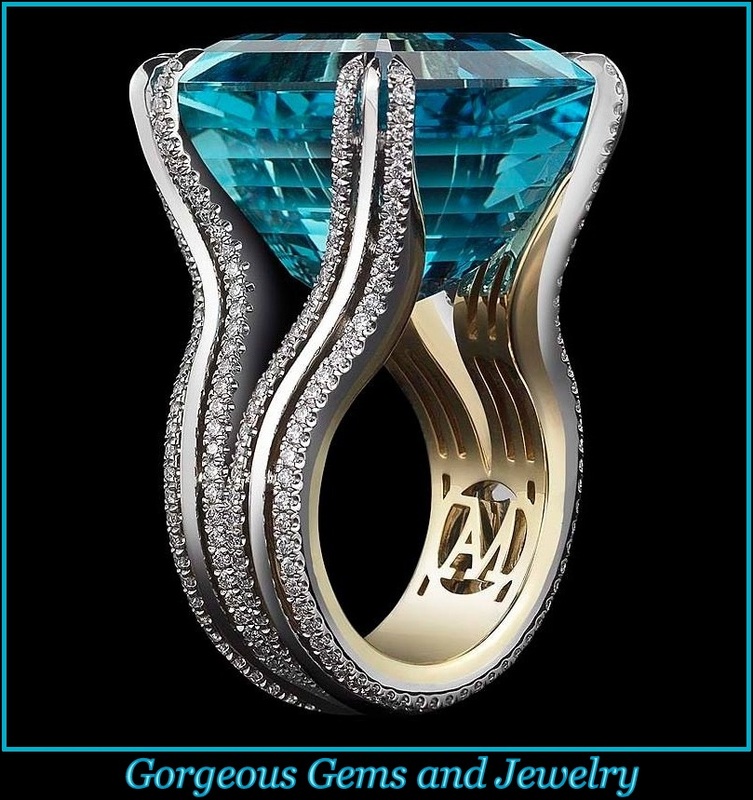 This method involves hours of work that merit the most exquisite precious stones. 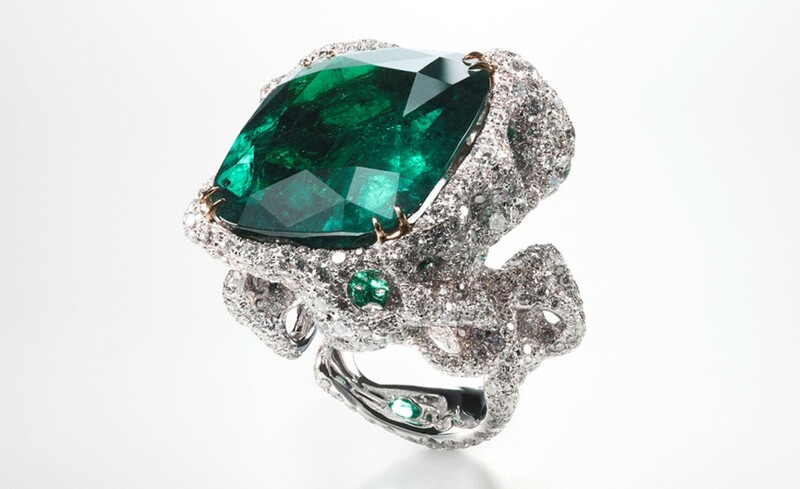 The result is jewels unlike any other that push the boundaries of the craft of jewelry making and take us into a fantastical world where emeralds appear to grow out of writhing, oozing forms rippling with diamonds or the bejeweled feet of geckos cling on to a luscious pink pool of 61 carat ruby. Cindy Chao was born in Taiwan and as a child was surrounded by creativity. Her grandfather was a noted architect who created traditional temples across the country. Cindy was captivated by the writhing forms of the temple dragon sculptures, the mythical guardians of these sacred buildings. Cindy’s early adventures with sculpting began in her father’s workshop. Surrounded by silent craftsmen, Cindy would be given her own lump of clay or wax to while away the time. Cindy has transferred this almost spiritual devotion to craftsmanship to her jewels. 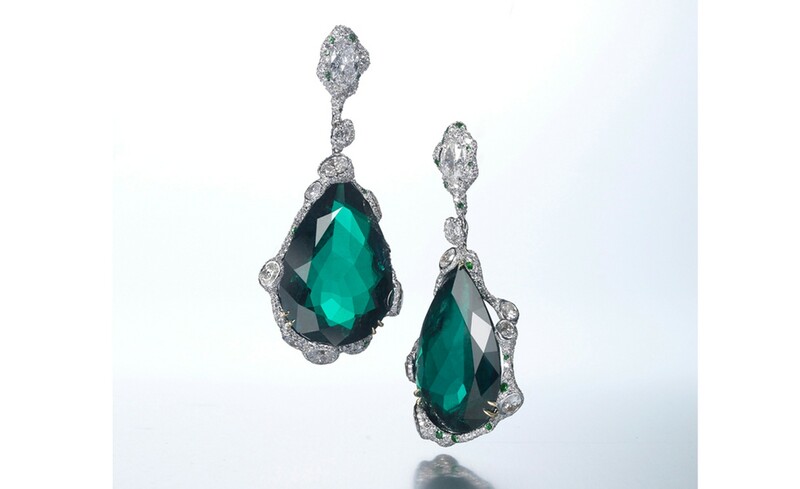 CINDY CHAO, The Art Jewel, Black Label Masterpiece Emerald Drop Earrings. Drop earrings with emerald (63cts) highlighted by diamonds set in 18kt white gold. A piece can take two years to complete from sketch to finished jewel and every step from wax-sculpting to casting to gem-setting through microscopes magnifying 40 times is painstakingly slow. Cindy’s jewels are remarkable. She transforms cold metal and stones into flowers that look delicate enough to quiver at the slightest breeze or a gecko caught for a fleeting second before darting off again. This is the true art of the jeweller who can captivate us with unexpected glimpses of nature, wrought in the most unusual materials. Cindy has divided her collections into two families: the Black Label Masterpieces, of which only one is created each year and rarely seen outside private collections, museums such as the Smithsonian or auction houses including Sotheby‘s. Every piece in the White Label collection is hand-sculpted but available in select boutiques. Look out for the Azalea cuff at auction at Sotheby’s in Hong Kong on the 6th April. London’s Kabiri jewellery boutique sells Cindy’s creations in the UK. 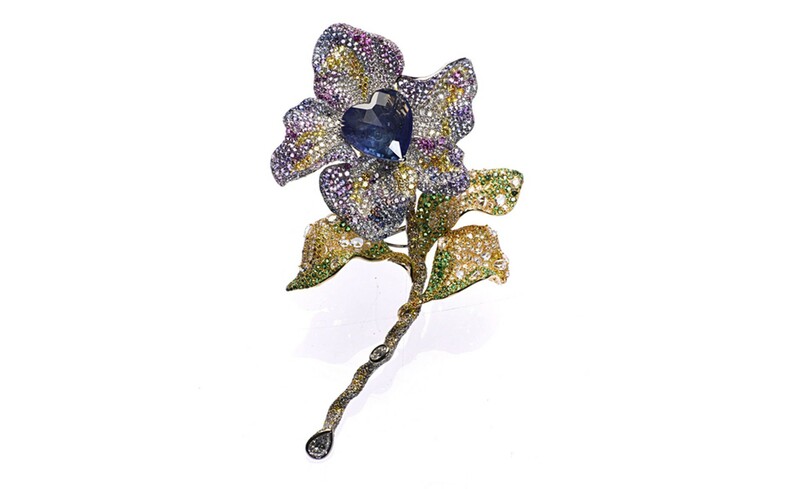 CINDY CHAO, The Art Jewel, Black Label Masterpiece Tipsy Brooch with heart shaped natural sapphire (46.89cts), highlighted by colorless, yellow and brown diamonds; pink and purple sapphires, tsavorite and rhodolite, set in 18kt yellow gold.